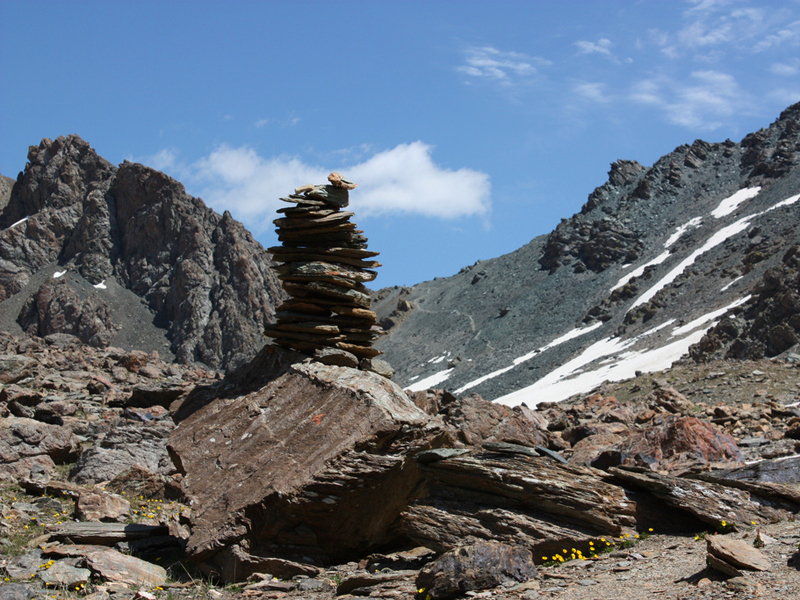 We are proud to offer a great hiking tour throughout the Issyk-Kul! We developed a program, that includes all top spot places of interest that would satisfy even an experienced traveler! We will visit picturesque gorges and canyons, valleys and rivers, mountains and lakes! Nature is not only our main focus, we will also meet many nomads, that live high in the mountains, places that you can reach solely by your foot! This tour is a great opportunity for those who are in good health, can handle an acclimatiation at the height of 4000 meters, can hike for 4 to 5 hours a day and is up for challenge! Arrival to Bishkek (indicate time and number of flight). Transfer to the hotel, Rest. Brief City tour, followed by Lunch in a café. Afternoon visit Ala-Archa gorge (40 km). Explore the area. Return to Bishkek, hotel. Dinner at the cafe. 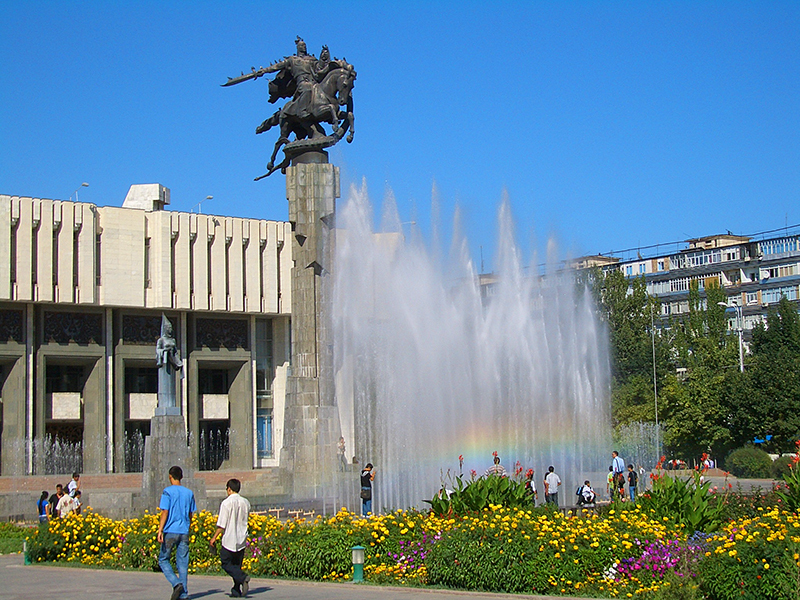 Bishkek hosts three major rivers: Alamedin, Ala-Archa and Chu. These rivers make Bishkek the greenest city in Central Asia. 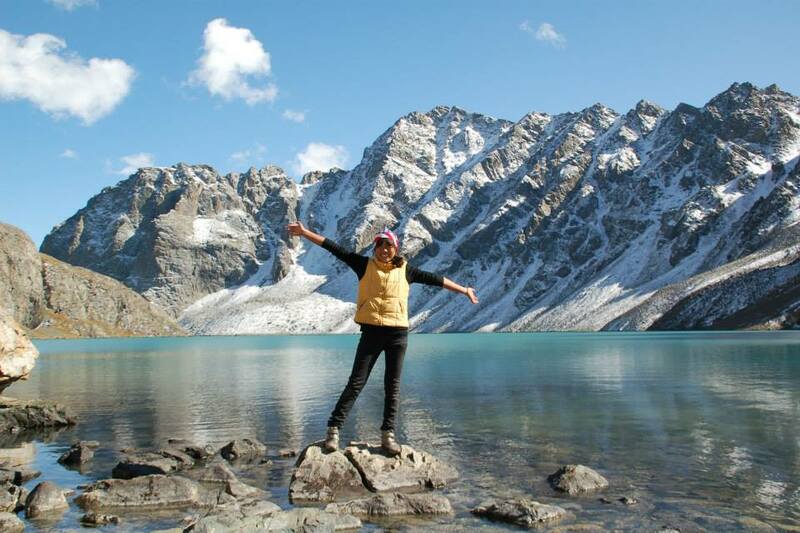 In the morning we will take you to the city of Karakol through the northern shore of Isyk-Kul lake. Along our way we will stop by the tower of Burana and open-air rock paintings museum. Meals included, accommodation at hotel \ guest house \ home stay. Lake Issyk Kul lies at the bottom of a large valley with mountain ranges that ring the lake from north and south, called Kungei (sunny) and Terskey (shady) Ala-Too. They protect the whole region from temperature extremes and make the whole region a great place for agriculture. Transfer from Karakol town, then to Chon-Kyzyl-Suu gorge. 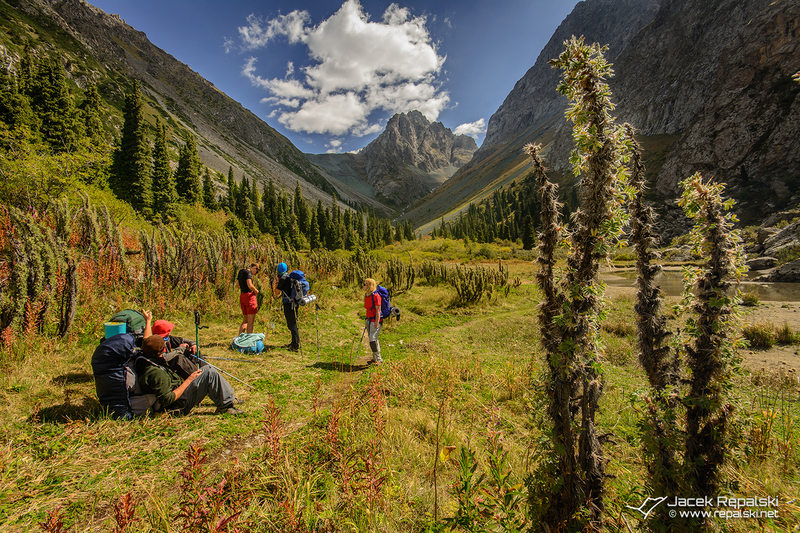 Hike along Chon-Kyzyl-Suu gorge to the footstep of Archa-Tor pass. Overnight in the tent camp. 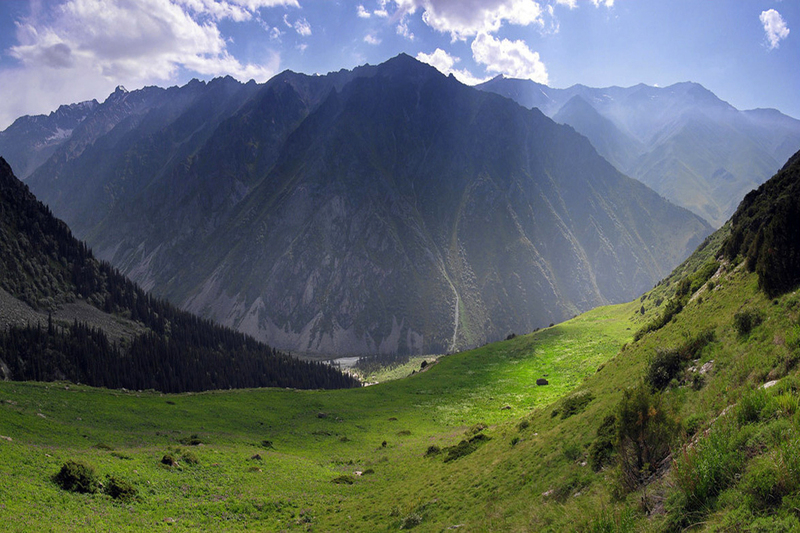 Karakol sits at the farthest eastern point of the Issyk-Kul, keeping the role of an administrative center. City was founded in far 1869 by first Russian settlers. Kyrgyz name resembles “black hand”. Ascent to Archa-Tor pass and descent to Jeti-Oguz gorge. Overnight in the tent camp. Southern region of the Issyk-Kul is known for it’s fascinating red rocks formations, that resemble seven bulls in Kyrgyz folklore. Also in this area you may encounter another rock, that resemble a broken heart of a woman, that died after two men killed each other trying to gain her attention. This place is mostly beloved by the photographers and artists. Today we will leave the gorge and head towards Telety river. Ascent along Telety river to the footstep of Telety pass. Overnight in tent camp. Getting over the pass of Telety. Road will take approx 3 hours. From the summit we will enjoy a great view of Terskey Ala-Too Mountain range. Lately we will continue to descend along the river for 3 hours. Making camp, sleep in tents. 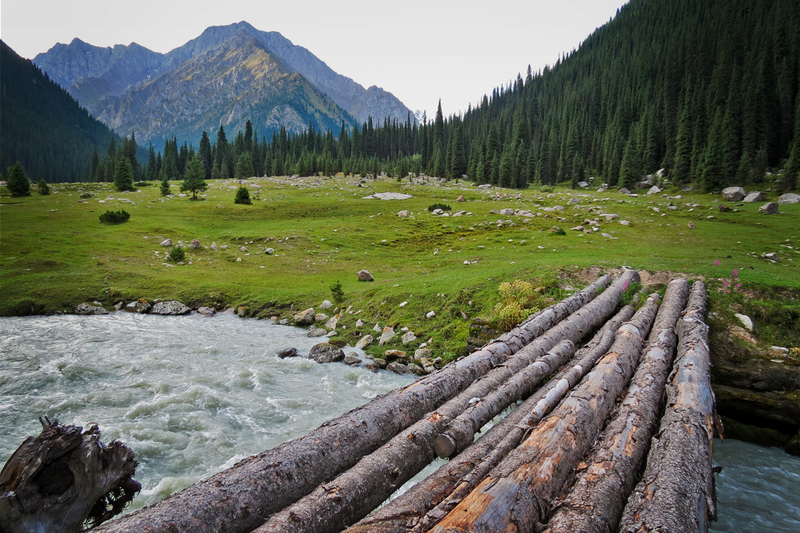 Descent in Karakol gorge to small log bridge. Stream crossing and ascent toward Ala-Kul Lake. Ascent is steep here and there, but not long. We establish next tent camp in forest, near small shelter called – “Sirota”. Overnight in the tent camp. Ascent to Ala-Kul lake. Then after small brake on the lake, ascent to Keldyke pass and descent to Altyn-Arashan gorge up to hot mineral springs. Relaxation in pleasant warm mineral bath after dinner. Overnight in the tent camp. 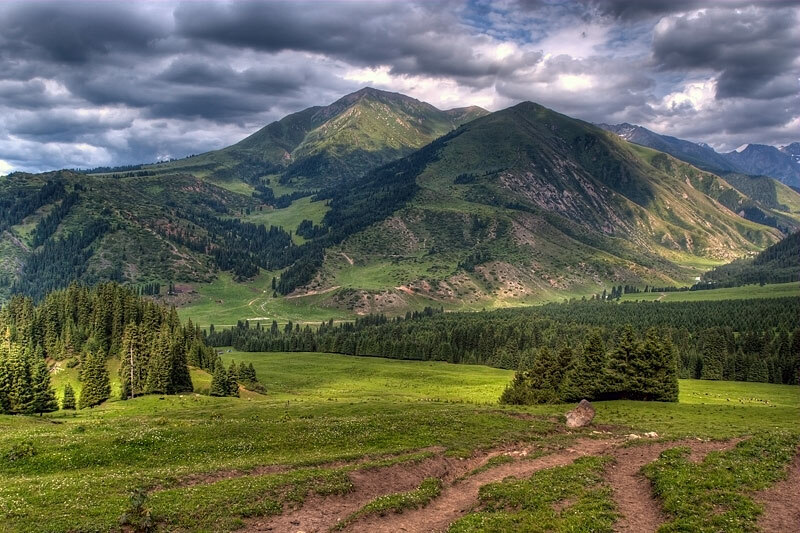 Altyn-Arashan means Golden Spa and it is a valley that grows from Ak-Suu valley, not far from the village of Teplokluchenka, very Spartan ‘hot springs” recreational complex. Our way will require 4WD purposed vehicles, while we travel through fine pine forests with many springs sparkling from the ground with both hot and cold water. Also we may have a great opportunity to see wild bears. After breakfast hike to the meeting point with the driver. Transfer to Karakol. Rest or short city tour. Accommodation is provided at the hotel/guest house/home stay. It is possible to organize dinner and folklore show at the Dungan famiy. After breakfast drive along the southern shore to Bishkek (long driving, about 10 hours). Accommodation is provided at the hotel in Bishkek. Transfer to Airport Manas. Flight home. After breakfast drive along the southern shore of Issyk-Kul lake to Kochkor village, famous for its handicrafts. Visit Barskoon and Skazka gorges on the way. Lunch and demonstration of eagle hunting in Bokonbaevo. Accommodation is provided at the homestay in Kochkor. Meals are included. After breakfast drive to Kol Suu lake having lunch before the Kyndy pass. Arrive to the yurt camp. Hiking to the lake’s shore (500-700 m). Accommodation is provided at yurt camp. Meals are included. This day will be dedicated to the exploration of the lake's basin with the help of local guide. Accommodation is provided at yurt camp. Meals are included. Today's destination point is Tash- Rabat. Lunch on the way. Explore the area. Accommodation is provided at yurt camp. Meals are included. Tash-Rabat is known for being a tavern for travelers from and to China in the times of Tamerlane and Genghis Khan, which seek there a shelter and a place for worship. It was built around 10th century and stood there since today. In the morning we will leave Tash-Rabat and head to Son-Kul lake at Central Tien-Shan. At the lake basin we will stop for today, explore the are and stay in a yurt camp. Meals are included. 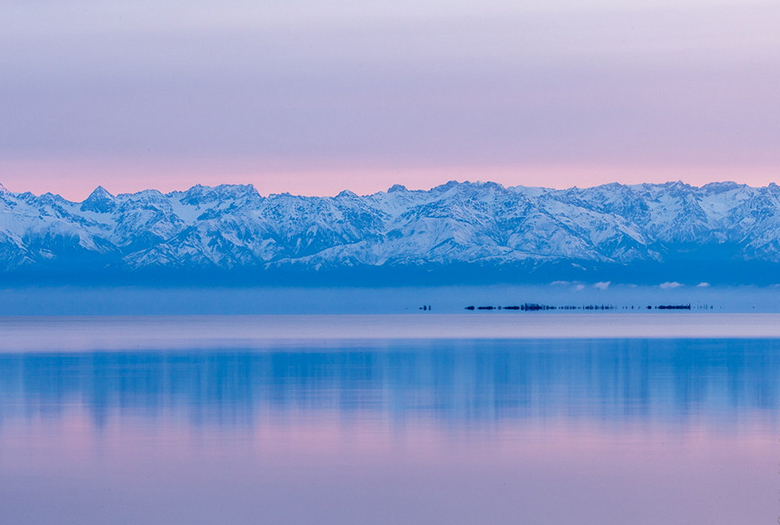 Son-Kul is the second largest lake in Kyrgyzstan, and interestingly lies right at the geographical center of Kyrgyzstan. It name means the last lake, which implies the lake being a last resort for travelers, who seek place for rest. 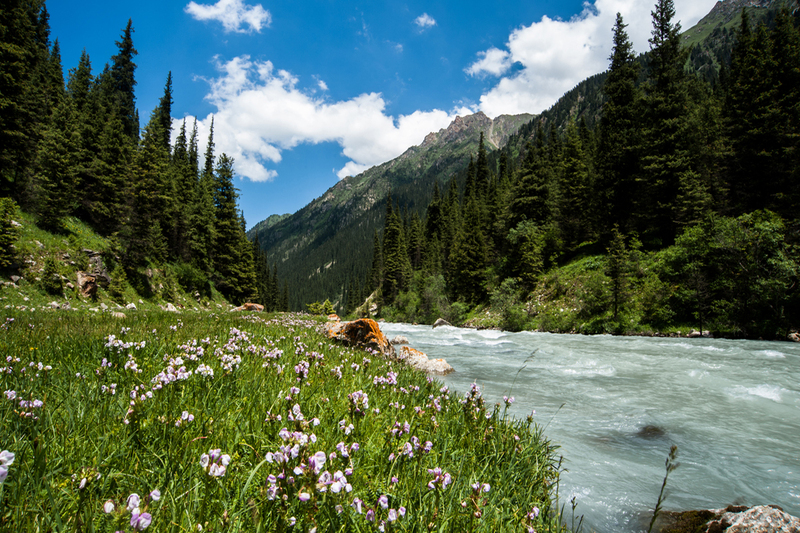 Son-Kul basin is rich with healthy and fresh mountain grass meadows (jailoo), which provides great food for animals and greatly improves meat and milk qualities. Evidence was revealed that this place were used by shepherds centuries ago in the ancient times! After breakfast drive to Chychkan gorge. Visit Kyzyl-Oi village, where you will have lunch in a local family. Enjoy the picturesque views of Kekemeren river and Suusamyr valley along the road. Dinner in a café. Overnight in a hotel. Kyzyl-Oi village is built from local rocks with a distinct red color, which actually gave name to the whole village (Red Bowl). It lies at the height of 1800 meters and is just about 200 km away from Bishkek and surrounded by majestic red rock mountains. After breakfast drive to Arkyt village. Lunch en route. Arrival to Arkyt village. Rest. Accommodation is provided at the homestay. Meals are included. After breakfast visit Sary-Chelek lake. Enjoy the fantastic views. Packed lunch. Explore the area. Return to Arkyt village by evening. Accommodation is provided at the homestay. Meals are included. 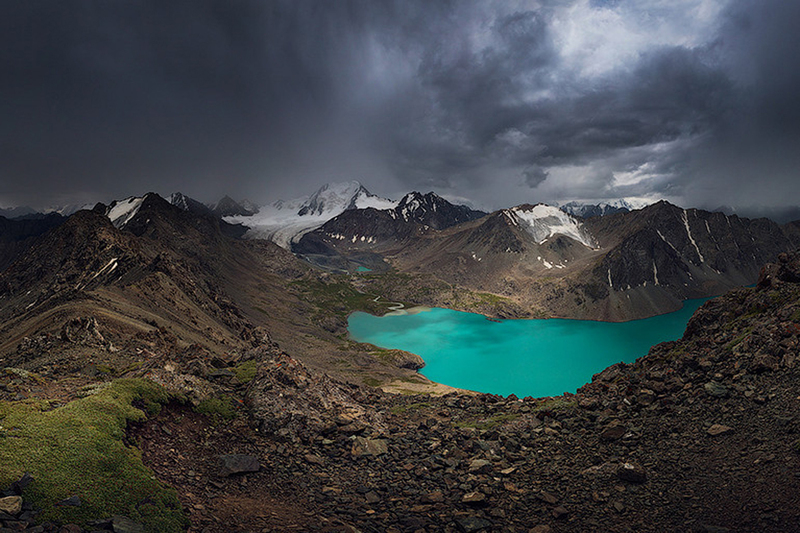 Sary-Chelek lies at the height of 1873 meters and takes the place as the second deepest lake in Kyrgyzstan. Shoreline is covered by forests, which trees are fealessly step with roots into the lake. Bisphere reseve was founded in 1959, whic covered the lake basin and a small mountain hollow at Chatkal mountains. After breakfast drive to Arslanbob. Lunch en route. Upon arrival explore the area. Accommodation is provided at the homestay. Meals are included. Arslanbob walnut forest reserve lies at the height of 1800 meters, more than 1000 years old and resembles a name of a great hero that dies from the hands of his wife, which betrayed him to his mortal enemies. Old people belive that you can still place with his footprints and blood stains. Another famous thins is the walnuts themselves, which were brought to Greece by Alexander the Great as a trophy and became widely known to Europe from there, but originally walnut grew in Malaysia and was lately spread across the Great Silk road by the ancient travelers..
After breakfast drive to Osh. Lunch in a café. City tour. Dinner in a café, Overnight in a hotel/home stay. Osh was founded at the crossroads of an ancient Silk Road, which makes it the oldest city in Kyrgyzstan with more that 3000 years of pure history. Some people belive that city of Osh is older than Rome in Italy, and it is believed that it was built by monumental historical figures such as King Solomon or Alexander the Great. After breakfast continue city tour around Osh. After lunch in a café drive to Sary-Tash village. Accommodation is provided at the homestay. Meals are included. We suggest you to have this gear when you arrive for the tour: warm clothing, sun protection gear, sleeping equipment and wind stopper. Medical insurance is a great safeguard.